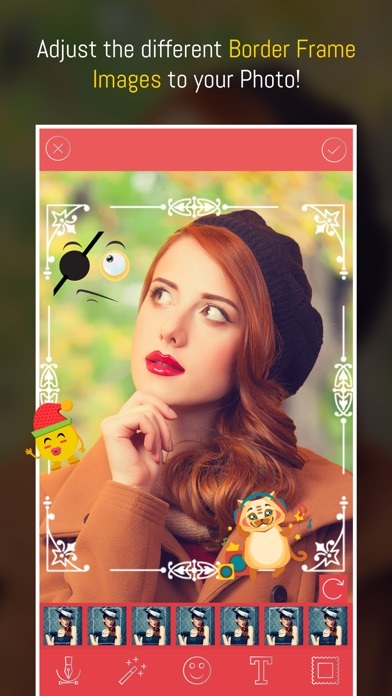 Instant Picture Editor: Create some mesmerizing photos with this Instant Picture Editor, make your picture look more beautiful and amazing. Edit your photos instantly with this powerful Photo Editor app, which is one of the best photo editing tool. This app comes with beautiful border photo frames as well. 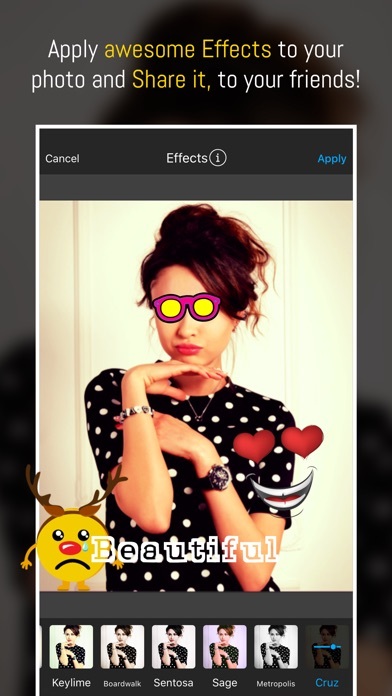 Explore the unique features of this picture editing app to edit pics in numerous ways. You can give light effect to your pictures and option for rotation and for reset is also available, you can easily rotate the light effect and if you don’t like the effect after it’s been done then you can easily reset the effect as well. Add different prints to your picture and make them look more creative. 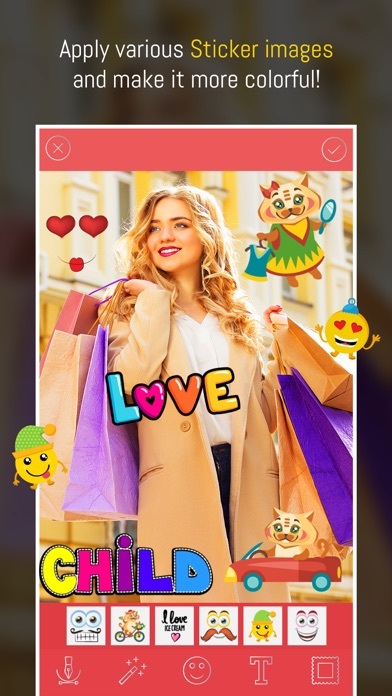 You can also apply fun stickers to your face, variety of stickers are in stock such as smiley, cat face, comic style stickers etc. 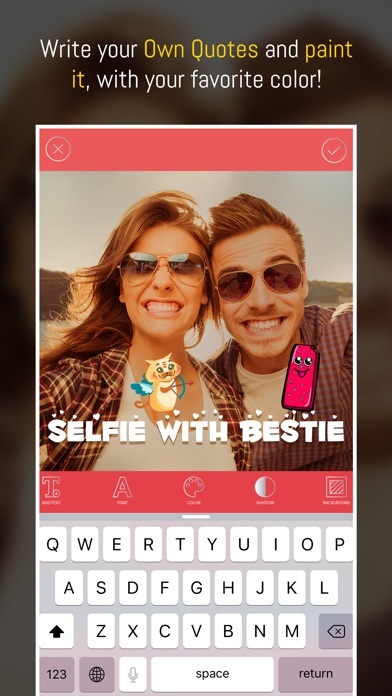 Add text to your photo, write text in multiple colors with different fonts, shadow text feature is also available. App Features: ◎ Choose picture from gallery or camera ◎ Do editing. ◎ Apply different overlay effects. ◎ Write text in multiple colors and in different fonts. ◎ Add wide variety of fun stickers and emojis smile. Save and share photo on social networks! !